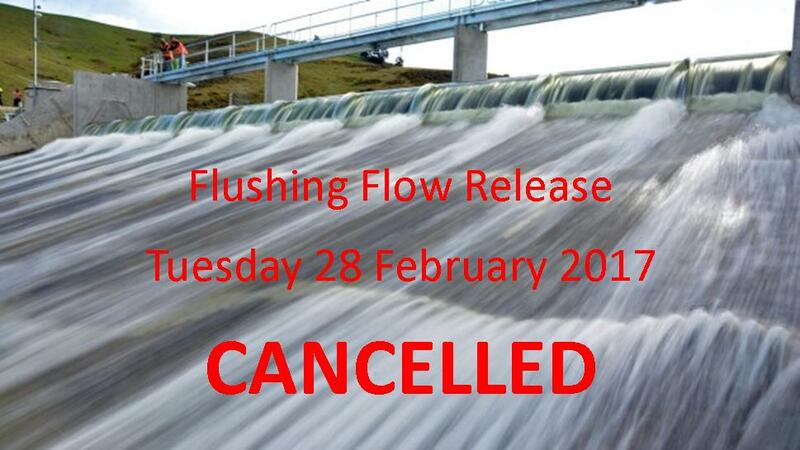 After receiving some feedback and discussion on the proposed flushing flow for tomorrow (Tuesday 28th February 2017), we have now decided to cancel the planned flushing flow. The main reason for the cancellation being that the tide timings for the mouth of the river will not suit a flush and could result in debris being left in the lagoon. The environmental flow in the Opihi River for March increases by 4 cumecs from what we are currently doing. We will be increasing to this flow early tomorrow morning and be carrying out a small flushing demonstration tomorrow afternoon. As this will still be a significant increase in flow, the public are still advised to stay out of the river from the afternoon of Tuesday the 28th of February until the morning of Wednesday 1st March. The good news is that all irrigation scheme intakes will remain open and there should not be any disruption to irrigation as a result of this. I apologise for any inconvenience caused by the change of plans. If there are any questions please feel free to contact me.